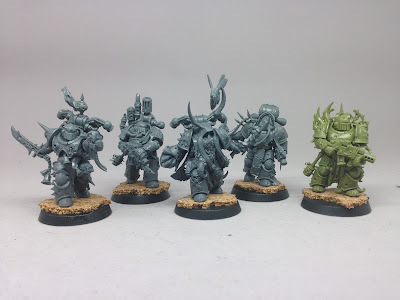 I'm not currently digging the Primaris Marines. They're just part of an army. 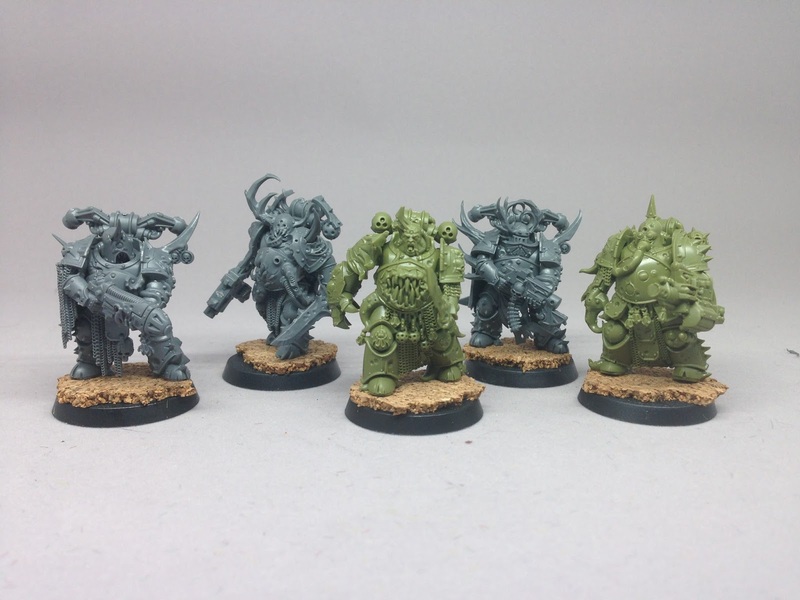 You still need regular Marines to fill in the gaps. I'm not currently digging my Tau. Two other players are playing Tau right now. I'm not currently digging my AdMech. I'm just not. I like the Necrons, but I'd need to really build and paint a ton of stuff to get it up to 8th Edition viability. I decided to do a full reset. I shelved everything. I'm starting over. I mentioned to my gaming group that I was looking for a reset switch. 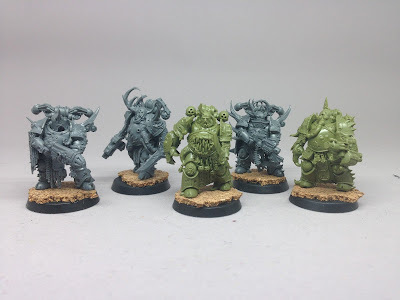 After a couple of trades and barters, I ended up spending $30 and trading a bunch of old metal Kasrkin models for about 1,000 points of brand new Death Guard models. 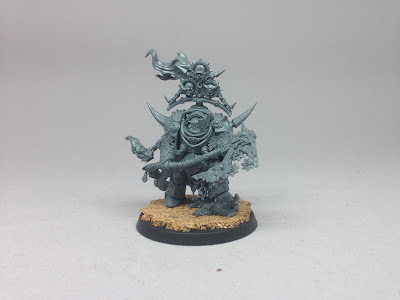 I've never had a Chaos army before, so this will be a new phenomenon. It's also going to be a crazy painting challenge. Every model is basically a super detailed character. So far I've built the Lord of Contagion and two 5-man Plague Marines squads. The seven dudes in the Dark Imperium box plus the three dudes in the Easy to Build box make for a nice set of 5-man squads. Almost like they planned that.